Médecins Sans Frontières/Doctors Without Borders (MSF) confirms that its five staff held in Syria have been safely released. The organisation strongly condemns this abduction, which has forced MSF to permanently close one hospital and two health centres in the Jabal Akkrad region in northwestern Syria. 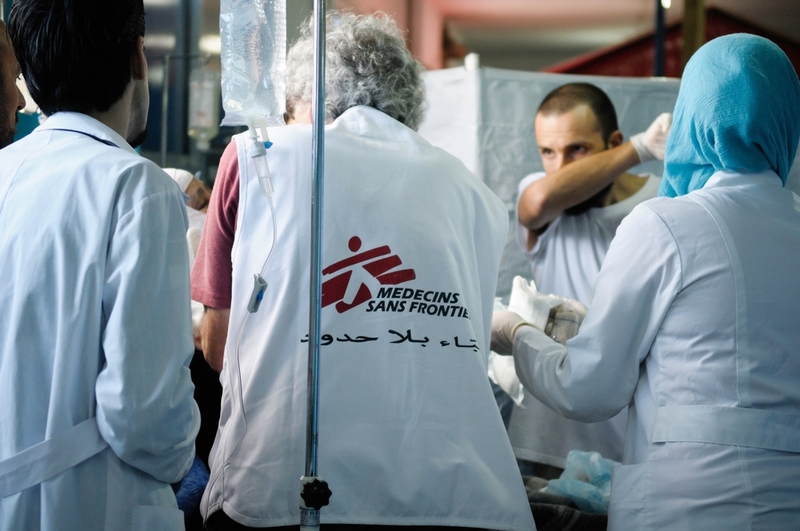 On January 2, 2014, five MSF staff were taken by an armed group in northern Syria, where they were working in an MSF-run hospital to provide essential healthcare to people affected by the conflict. Three of our colleagues were released on April 4, and two returned on May 14 and are on their way to be reunited with their friends and families. “The relief of seeing our colleagues return safely is mixed with anger in the face of this cynical act that has cut off an already war ravaged population from desperately needed assistance,” says Joanne Liu, MSF International President. “The direct consequence of taking humanitarian staff is a reduction in lifesaving aid." In 2013, MSF medical staff in these three facilities performed 521 surgical operations, many for trauma wounds, 36,294 medical consultations, and safe hospital deliveries for more than 400 mothers. Across northern Syria, where MSF continues to operate other medical facilities, security constraints have made it extremely challenging to provide assistance. Medical facilities have been attacked and bombed, and health workers killed or threatened by armed groups. Elsewhere in Syria, denial of official access and insecurity have blocked MSF from setting up medical activities. “While millions of Syrians need assistance for their survival, among some of the armed parties to the war, the very idea of independent humanitarian presence is rejected. MSF would like to thank everyone for the support and solidarity shown to our colleagues and their families and is grateful to the media for their understanding during these difficult months. We ask the public and the media to maintain the same consideration now that our colleagues have returned. Out of respect for the privacy of the five, MSF is not disclosing their identities, nor will the organisation comment further on the circumstances of the captivity or the release. Since June 2012 MSF has been running makeshift hospitals and health centres across the north of Syria. These facilities have conducted more than 7,000 surgeries, 53,000 Emergency Room interventions, 88,000 out-patient consultations, and more than 2,000 safe deliveries. A network of 50 hospitals and 80 health centres run by Syrian medical networks is supported across seven governorates. In Iraq, Jordan and Lebanon MSF has large programmes providing medical assistance to Syrian refugees, where nearly 400,000 consultations have been provided.